We aim to offer an appointment to deal with all your long term conditions at the same time and plan to offer a review each year around the time of your birthday. 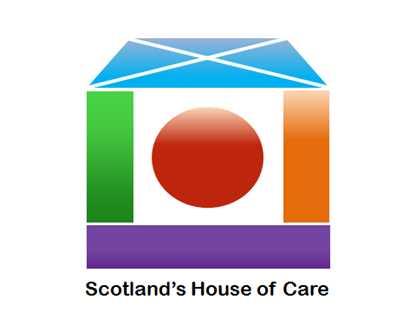 We are going use a new way called 'The House of Care'. What is the House of Care model? The idea of this way of caring has, at its heart, the principles of person-centred care. This is where healthcare professionals and patients with long-term conditions come together as equal partners to discuss care and planning. It should address the needs of the individual and develop a plan if appropriate. This way uses the expertise of the individual living with their condition, taking into account their own health needs, personal goals and their limitations. In order for a meaningful conversation to take place at this appointment, and to make sure that both clinician and person with the long term condition are equal contributors, it is necessary to have all other elements of the house in place. The foundation of the house is the system already in place to allow the population to enjoy good health care: stable government, safe water, NHS services like hospitals and medicines. The roof of the house is the organisation at Quarryfoot: IT systems that are set up to allow for recall appointments to be offered and systems to make sure all your tests have been done correctly. The right wall is the health care professional, a health care assistant, a nurse or a doctor, who is trained to have a good conversation with you about what really matters to you. The left wall is you! We think that to have a good conversation about what really matters you should be informed about your results before you come to the appointment and understand what the results mean. We will give you a copy of your results before the appointment. You will hopefully have had time to think a little about what it is important to you to discuss. Perhaps you will have talked with your family or carers and have thought about what you want to get out of the conversation. At the appointment we will focus on what you want to talk about and help you plan your own care.